This development will ultimately have about 70 homes. As of late 2018, twenty-two homes have already sold, between $450k-$500k. 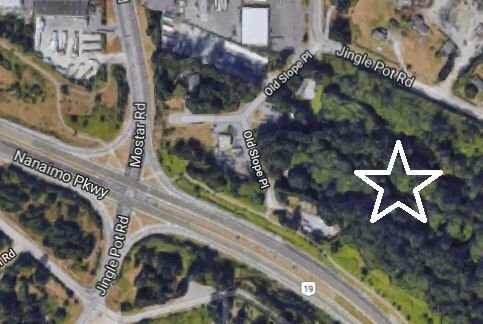 The neighbourhood takes the form of a single street with a turnaround at the end, perched above the Nanaimo Parkway with views of Mt Benson (click on the map image to see the larger context of the site). Emerald Woods will be comprised of 70 half duplexes, all with garages and driveways. There are 4 different sizes of home to choose from, with 2-bed options and 3(4)-bed options as well. Most are single-storey but some will have walkout basements. High ceilings, gas hot water tanks, heat pumps, and open kitchens will offer higher-end living while strata fees remain low, being in the $150/mo range (so far). See Emerald Woods listings below - please contact me if you have any questions whatsoever!